SO many incredible events to be apart of! For full descriptions of offerings see below! Have you ever noticed how different you feel when the sun is shining on your face? How about when it’s cold and dreary? How do you feel then? Everyone’s mood can be affected by the weather. It dictates what we wear, when we travel and what activities we choose to do. But when the seasons change, bringing long term changes in the weather, temperature and length of day, some people are affected in other ways. The seasonal changes can affect their entire sense of well-being. If you find that you feel like a completely different person depending on the season, you may have seasonal affective disorder. Seasonal affective disorder, or SAD, is type of depression. It happens during certain seasons of the year—most often fall or winter. It is thought that shorter days and less daylight may trigger a chemical change in the brain leading to symptoms of depression. Join Dr. Cheryl as she enlightens you on the risk factors, signs and symptoms of SAD. She will also provide you with lots of tools to prevent and treat SAD. Dr Cheryl Cooper is the Director of Vitallife Integrative Medicine. 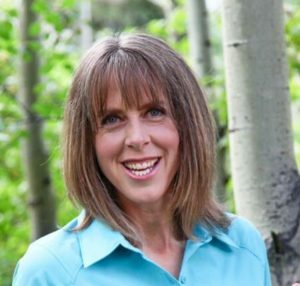 With over 25 years in the health and wellness industry, she was one of Ottawa’s most respected Naturopathic doctors before making Canmore her home. She specializes in hormone balancing, women’s health, and digestive and immune system disorders. As a Naturopathic doctor, Cheryl uses a holistic approach to helping patients gain and maintain good health. She helps patients understand and manage the root causes of their health concerns. Her personalized approach involves educating and empowering patients to take control of their health. She holds a degree in Naturopathic Medicine, a Bachelor of Science degree in Human Kinetics with Honours in Psychology, Mind/Body Medicine Certification from Harvard Medical School, and a Doula Certificate. In 2005, Cheryl received the Ina Meares Award for Clinical Excellence and was voted Naturopathic Doctor of the Year in Ottawa in 2015. Description: If you want to get your knees ready to enjoy skiing this winter, are interested in how to avoid knee injuries, or how to return to skiing after a knee injury, then this talk is for you! Dr. Mark Heard from Banff Sport Medicine will enthusiastically share his love of skiing as well as what he has learned from over 25 years of preventing and treating knee injuries in ski athletes. Dr. Heard will be joined by Lynne Richardson from Rocky Mountain Rehab & Sports Medicine Clinic who will share some valuable exercise advice to get you ready for the slopes. Dr. Mark Heard received his Medical Degree from the University of Calgary, completed an orthopaedic residency at the University of Ottawa, and a Clinical Fellowship in Arthroscopic Surgery and Sport Medicine at Carleton University in Ottawa. Lynne Richardson is a Physical Therapy graduate from the UofA, a Fellow of the Canadian Academy of Manipulative Therapy (FCAMT), is registered with the Acupuncture Foundation of Canada Institute (CAFCI), and is a qualified GUNN IMS practitioner. She has taken numerous post-graduate courses, including Dynamic Core, ACL Injury Prevention, Vestibular (Dizziness) Rehabilitation, manual therapy and acupuncture courses. She is a Physiotherapist at the Banff Sports Medicine Intake clinic, and works closely with the team of Bow Valley orthopedic surgeons and Sports Medicine Physicians. Her professional interests include sports injuries, ACL and post-operative rehab, core stability, and alpine ski-related injuries. Jason is extremely passionate and has a background in Western Sciences infused with Eastern Medicine, ancient religion and philosophy. He will be speaking about Purica’s extensive medicinal mushroom line and mushroom formulas, including Complete 360, and touching on some other new favourite products too. Our state of health is a reflection of the state of the world and everything around us. Dr. Engele obtained her Bachelor Degree at Mount Royal University in Calgary, and then completed the four-year Doctor of Naturopathic Medicine program at the Canadian College of Naturopathic Medicine in Toronto, earning a Bachelor of Naturopathic Medicine. She is an accredited naturopathic doctor in good standing with the College of Naturopathic Doctors of Alberta and the Canadian Association of Naturopathic doctors. Being a pharmacist in a small community has always been my dream. I love getting to know patients and providing them with advice to aid their healthcare decisions. Providing advice on over the counter medications is just as important to me as providing advice on prescription drugs. Patients become family to me and I will go out of my way to make sure their needs are met. I am grateful to have been in Bow Valley since 2015. I look forward to Mint being the choice for friendly and knowledgeable service in the community. In this world of modern medicine and technological breakthroughs, it is important to maintain a holistic approach to health and healing. Proactive wellness is a way to prevent illness from occurring; but on occasion even the healthiest are susceptible to contracting unavoidable pathogens. When reacting to a health concern one must consider traditional healing methods in conjunction with current medical care. Darin and his team have been providing advice to business people for more than two decades in Calgary and throughout the Bow Valley. FFG Solutions will help navigate the complex world of health benefits, personal and business insurances. Darin uses a holistic approach to pursue solutions that connect our clients to the unique products and services; to help each individual lead a healthy, productive and successful life. This 30 minutes talk will present the current knowledge about concussion evaluation and management with a patient-centered approach. Cindy graduated from the physiotherapy program at the University of Manitoba in 1997. She has been licensed in Saskatchewan, Yukon, Manitoba, and Alberta as a physiotherapist. She established Wildwood Physiotherapy in 2005. Cindy is also a faculty member with Acupuncture Canada. Cindy has training in R2P Management of Post Concussion Syndrome and is the team leader for the Concussion Care Team in Canmore. Nathalie studied osteopathy at the Collège d’Études Ostéopathiques de Montréal (1998) and physiotherapy at the University of Montreal (1990). She also completed a Masters degree at the University of Calgary and at the Alberta Children’s hospital (2012). She opened Consensio clinic in 2012 in Canmore where the mission is to provide expert and collaborative care to the population in complementary and alternative medicine. Consensio is also a clinical teaching facility where we support students in clinical and research work. New research continues to emerge about the numerous health benefits of using cannabis. A new prominent trend is the emergence of cannabis -infused topicals. Although people will not be able to purchase CBD lotions, salves or balms, we can show you just how easy and simple it can be to create your own pain reliever. We’re moving away from the old “pot brownies” into a more elevated form of cooking, like canna-butter, canna-oil, and other edibles. While edibles and creams are currently illegal to purchase, we can show you how to repurpose your flower in all your favourite recipes! Many people who are canna-curious are discovering the world of options that edibles provide. For those who may not be interested in smoking or similar consumption methods, edibles are a great alternative that provide long lasting effects. Given that everyone reacts differently, it’s important to know exactly what to expect and how to properly dose. Let us teach you all the in’s and out’s about cooking with Cannabis. Are you finding that your memory isn't as sharp as it used to be? Do you experience periods of 'brain fog' where you have trouble thinking clearly and focusing? Do you have a family member suffering with dementia and are wanting to avoid that same fate? If you answered 'yes' to any of these questions, then this class is for you! In this session we will teach you about lifestyle habits, foods and supplements that will literally help you build a better brain. Modern life is working against us in the brain health department, but the good news is that there is a lot we can do to not only slow and prevent brain degeneration, but to turn it around and improve it! Come armed with a notebook and your questions and join us for this 1-hour information-packed class. You will also get recipes and delicious samples that will help boost your brain power and help you keep your brain young as you age happily and healthfully. You will also have an opportunity to purchase select beneficial brain herbal supplements on site after the class. Cold and flu season is upon us, and undoubtedly some of you have already fallen prey to the seasonal sniffles. But did you now that it may not be the season that brings on the sniffles but our lack of preparing for it? In North America, we believe what is good for us today is good for us every day, but this simply isn't true. What may have supported you 2 months ago, may be working against you today. Cooler weather calls for a change of habits, foods and supplements. Have you ever considered this? Seasonal foods and circadian rhythmDigestive health and its many ties to immunityImmune-building herbs and more!Come with your notebook and questions and enjoy a sample of a seasonal elixir that will tantalize your taste buds while it strengthens your defenses from within. You will also have an opportunity to purchase key elixir ingredients after the class. Join Susan Hoy of Culinary Skills & Nutrition for a Conversations While Cooking Workshop. This demonstration style cooking class offers delicious samples of plant-based whole foods while you learn how to reduce the amount of food additives in your diet. Learn how to make a variety of 3 day preserved vegetables and pickles that are easy enough to make any day of the week. Ideal for anyone with digestive concerns, IBS, Crohn’s and other autoimmune conditions. Recipe booklet included. Discover the history behind one of our favourite delicacies, cacao. Delve deep into the health benefits of this perfect food and learn how to make deep and delicious raw chocolate from organic, fairly traded, whole ingredients. Canmore is full of opportunities to engage in recreational activities of epic nature. We are home to some of the greatest endurance-sport athletes in all of Canada and are inspired to push our physical boundaries alongside them by hitting the trails running, hiking, biking and skiing. Though strength training often takes a back seat for endurance lovers, gaining strength and power is integral for longevity in these sports. SC² will share their research based system for injury prevention, enhanced performance and success on the trails. Bring: Training clothes and water- be ready to move! Tara has been teaching yoga for 5 years now. She has trained with Power Yoga Canada, Baptiste Power Yoga Institute, VanCity Acro Yoga & Elevate Aerial Yoga. 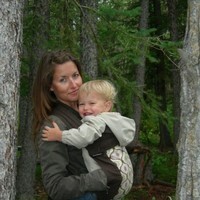 Tara currently teaches vinyasa yoga, Acro Yoga, SUP yoga & aerial yoga in the Bow Valley. She is currently head coach and manager at the Banff Gymnastics Club running gymnastics programs for both kids and adults. Her classes focus on alignment, strength and flexibility and getting each student to step into their own power, no matter their age or ability. She is a believer in pushing boundaries, using hugs as medicine and that everyone should go upside down at least once a day. Come relax on your back and follow my voice as I lead you into your cells. Together we will clear stagnant energy and relax the nervous system. Feel lighter, clearer and balanced. Gain insight and liberate old patterns and programs from the cells. There will be a quick review of Nordic walking technique but the focus of these session will be having a great total body workout while maintaining a steady walking pace and enjoying the stunning surroundings and snapping a photo or two. Wear walking/hiking shoes and comfortable weather appropriate clothing. Imagine hiking and doing yoga in one of the most beautiful mountain landscapes imaginable. This is a perfect mix of walking meditation, contemplation, and yoga in an inspiring mountain location. This a multi-level class and moderate walk. Shinrin Yoku is used extensively in the Japanese wellness system. Research shows that time in nature helps reduce stress, anxiety, overwhelm and will increase focus, creativity, and overall wellness. This gentle model is ideal for all types of people and abilities. Explore the mountains like a local. Join “Get Outside” and local Canmore physiotherapists as they lead you through how to modify your step to save energy, manage those niggling aches and pains, and stay injury free while hiking. You'll learn how to warm-up and what stretching to perform at the end of a long day in the mountains. This is the perfect hike for anyone wanting to improve their health. · Dress in layers and be prepared for rain, snow. · Bring a water bottle and snacks. · Toques, mitts and a warm jacket with layers are essential. This hike is not suitable for individuals younger than 12 years old. Spaces are limited! Please make sure you get a confirmation email upon registration and waivers will be signed at the Nordic centre before warm-up.